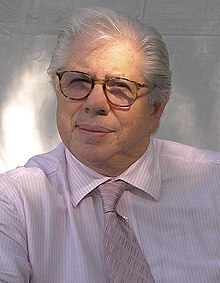 Carl Bernstein ( BURN-steen; born February 14, 1944) is an American investigative journalist and author. While a young reporter for The Washington Post in 1972, Bernstein was teamed up with Bob Woodward; the two did much of the original news reporting on the Watergate scandal. These scandals led to numerous government investigations and the eventual resignation of President Richard Nixon. The work of Woodward and Bernstein was called "maybe the single greatest reporting effort of all time" by longtime journalism figure Gene Roberts.Bernstein's career since Watergate has continued to focus on the theme of the use and abuse of power via books and magazine articles. If you are a great news organization, you can't have the best obtainable version of the truth if your vision and your scale is reduced to a fraction of its former self. The greatest felony in the news business today is to be behind, or to miss a big story. So speed and quantity substitute for thoroughness and quality, for accuracy and context. There had always been black people in and out of our house, and from the outset I had been taught that for them life was defined by struggle and filled with injustice. I think all good reporting is the same thing - the best attainable version of the truth. The lowest form of popular culture - lack of information, misinformation, disinformation and a contempt for the truth or the reality of most people's lives - has overrun real journalism. Radical thought has inspired many of the great political and social reform movements in American history, from ending slavery to establishing the minimum wage. The great thing about Watergate is, is that the system worked. The American system worked. The press did its job. We did what we were supposed to do. The pressure to compete, the fear somebody else will make the splash first, creates a frenzied environment in which a blizzard of information is presented and serious questions may not be raised. Public policy in the twentieth century was about protecting and expanding the social compact, based on recognition that effective government at the federal level provides rules and services and safety measures that contribute to a better society. John Paul was the first modern pope to grow up in a secular culture: He attended public schools, danced with girls - indeed, as a teenager he had a crush on a beautiful Jewish girl who fled his hometown just ahead of the arrival of the Germans. There's no way to know the motives of another person totally, even a person that you know very well. All institutions have lapses, even great ones, especially by individual rogue employees - famously in recent years at 'The Washington Post,' 'The New York Times,' and the three original TV networks. The Congress is a dysfunctional institution; it's broken. One of our three branches of government is broken.